Later this week at ICFF in New York, Bernhardt Design will be introducing a contemporary furniture collection of former NFL player, author and current actor, Terry Crews. Surprisingly, football and acting weren’t his first choices in a career, as he originally went to school for graphic design, however it took a backseat as his NFL career gained momentum. 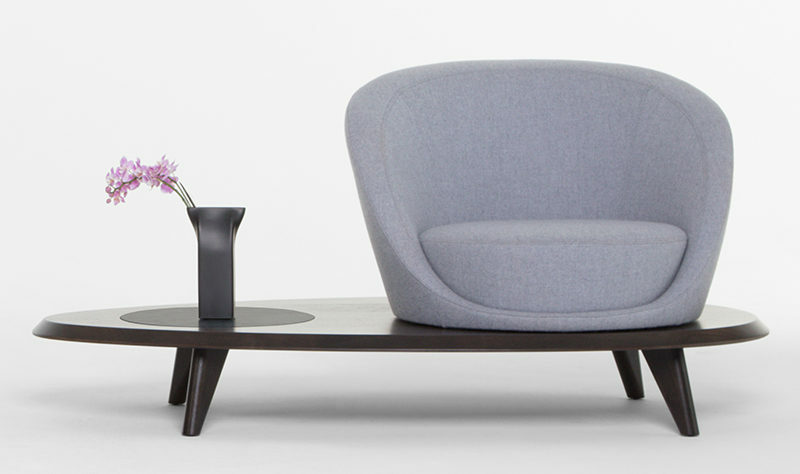 So, its no surprise to see that he’s teamed up with Bernhardt Design to continue with his creative talents (apart from acting and writing) and designed a furniture collection, with one of the pieces being the Lilypad Lounge Chair. “Lilypad represents exactly what its name suggests. The floating leaf of the water lily is culminated by a blooming lotus flower. The Egyptian sky god Horus was often depicted in ancient art sitting on the Egyptian Blue Water Lily. 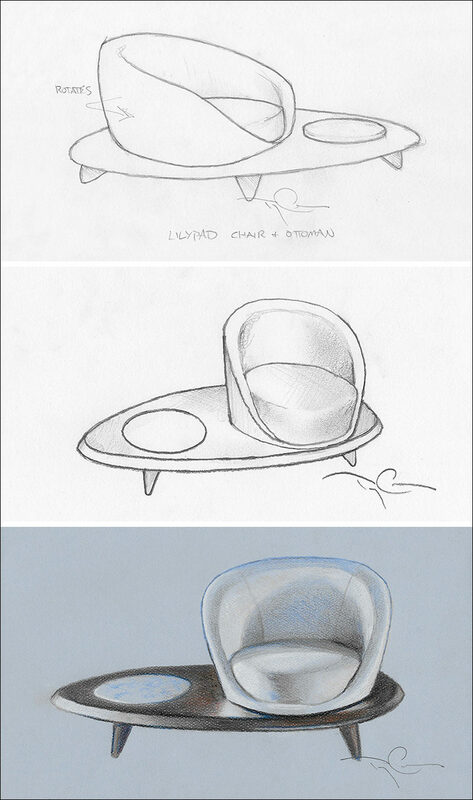 This image inspired the unique combination of an oval table, with a beautiful chair which appears to be a blossom rising above the table” – Terry Crews.